AWARD OF RHODE ISLAND STATE COUNCIL ON THE ARTS GRANT! 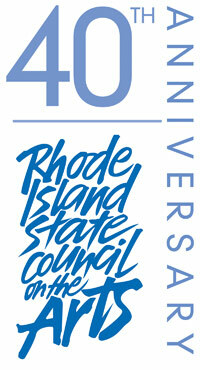 Frank Ward has been awarded a grant by The Rhode Island State Council on the Arts (RISCA) for the FY2007. It is an Individual Artist Grant to perform a program of music by Black American Composers. Because many of the songs are not recorded, the artists will also record some of the songs. What is unique about this program is that the music was written by African-American Composers between the years 1890 and 1926. The music of this era was heard in vaudeville, minstrel and musical theater shows. The goal is to demystify and remove negative stigmatisms associated with this music. Many of the songs are about love, relationships, dancing, the joy of music and comic situations. Because of the negative stigmatisms associated with music of the late 1800's to the early 1900s, much of the music of African-American Composers of this genre has gone unnoticed and unperformed. We regularly hear of the music of George Gershwin, Jerome Kern and Irvin Berlin, but rarely do we here of the hundreds of songs written for the theater by African-American Composers. Many of the composers were intelligent movers and shakers before and during the Harlem Renaissance and educated in some of the finest institutions of the time. The Recital will be at 4:00 p.m. on February 11, 2007 at First Baptist Church in America, 75 North Main, Providence, RI. It will feature Stephen Martorella on piano. Stephen did his studies at The Julliard School of Music, Mannes College of Music and Hartt College of Music. He is Minister of Music at the First Baptist Church in America, artistic director for South County Chamber Singers in Kingston, RI and teaches at Rhode Island College.